The marathon is your reward. I did it. 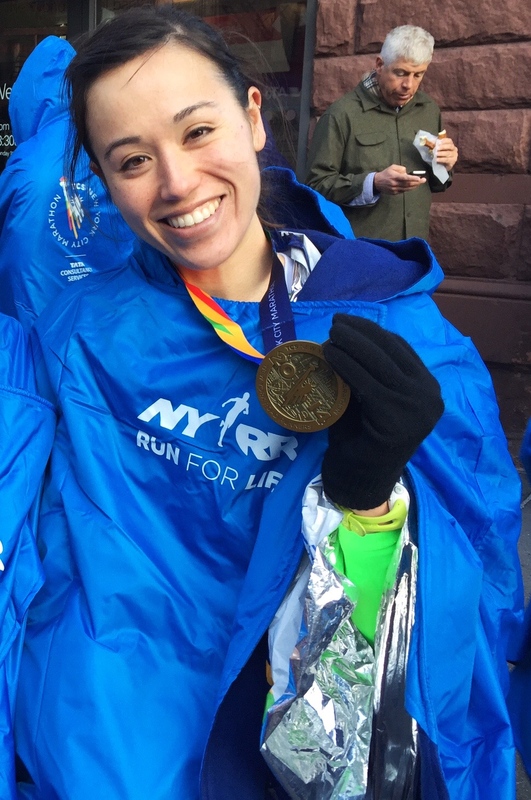 I successfully ran my first marathon.They say the marathon is your reward — that after the months of hard work and hours of running, the first time you run 26.2 miles is your reward to yourself. 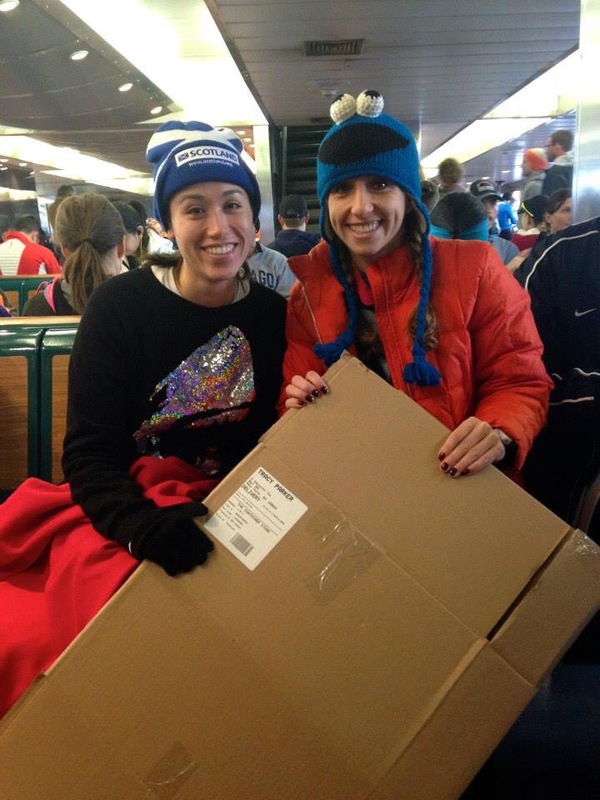 Two years ago, the idea that 26.2 miles could ever be a reward seemed crazy. But they were right. The race itself was one day, but it was a two year journey that got me here — a deep vein thrombosis (DVT or blood clots) and bilateral pulmonary embolism (PEs) diagnosis that left me fighting for life and limb, a doctor’s devastating conclusion that running would no longer be in my future, and a pure stubbornness that left me with a simple challenge: If they say I can’ t run, I’ll just have to run the marathon. The journey was not physically or mentally an easy one (see my story here). Physically, I struggled to even walk more than a block or two. Mentally, I’d never run more than a half marathon in good health, and the idea of doubling that distance in poor health seemed impossible. But I pushed forward anyway. Over weeks of training, patience (or more likely, impatience and a desire to just keep going despite the pain) paid off. My body stepped up to the challenge. I created a web of new collateral veins in my leg to provide better blood flow out of my leg, and I was able to run further and in less pain. 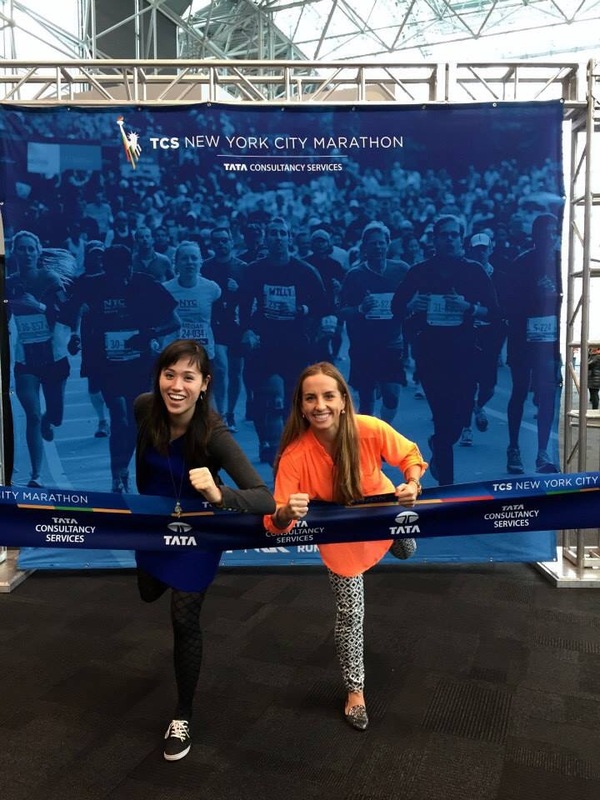 By 2013, I was well on my way to completing the New York Road Runners 9+1 program for guaranteed admission into the TCS NYC Marathon and I knew I had no choice but to go all the way. But telling all your friends and family (and even repeatedly telling yourself!) that you’re going to run the marathon is different from truly and internally knowing you will successfully run the marathon. This is what made my marathon journey truly special. 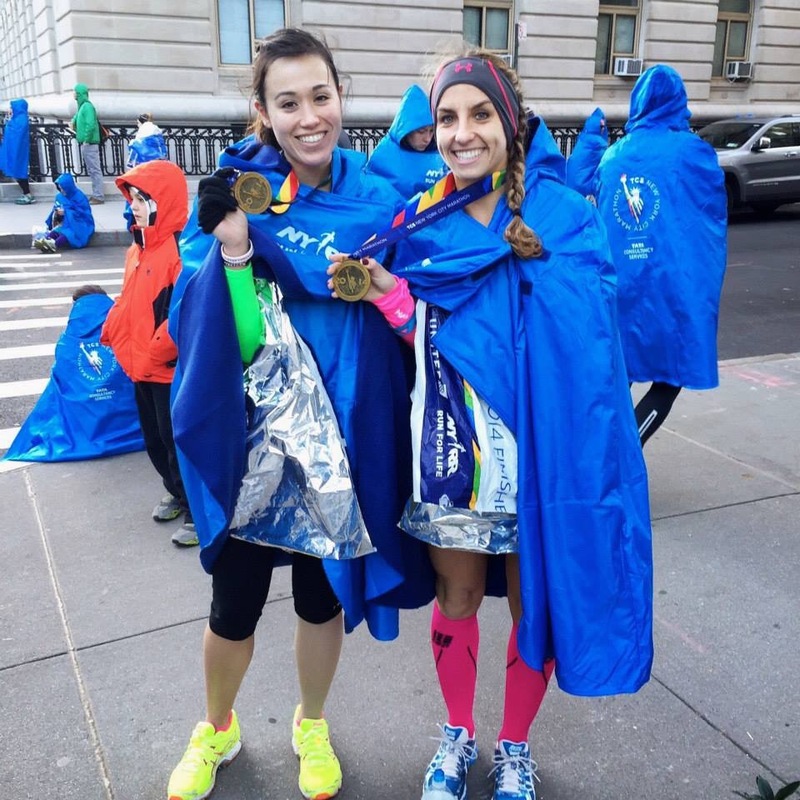 My 18-week training plan was about more than becoming physically ready for 26.2 miles, but also about becoming mentally convinced I was ready. 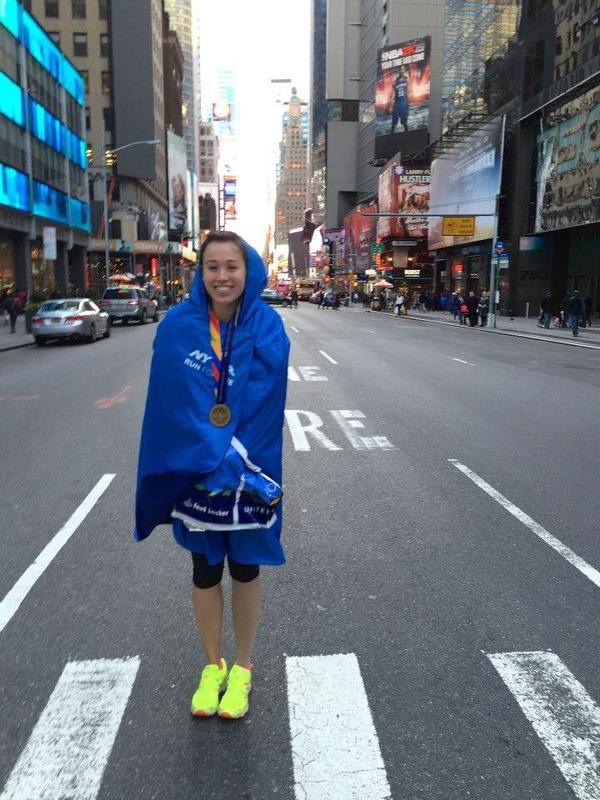 Deep down when you sign up for your first marathon, I think everyone has a little fear that maybe it’s impossible. We’ve all been repeatedly told that it’s possible — that with discipline and training, pretty much anyone can get through it. But I think that even if you intellectually know this, it’s not the same as walking into marathon day and knowing you can. When we first started the 18-week training plan, November 2 seemed like an eternity away. We slogged through the training runs, and each week’s long run seemed more daunting than the previous. But at a certain point in the training (I think when we hit mile 18), I realized I could do this. The long runs were still time consuming, but I knew I could get through them. This breakthrough makes all the difference. The certainty and confidence of “Yes, I can run this” is what makes marathon day so rewarding and so much fun. 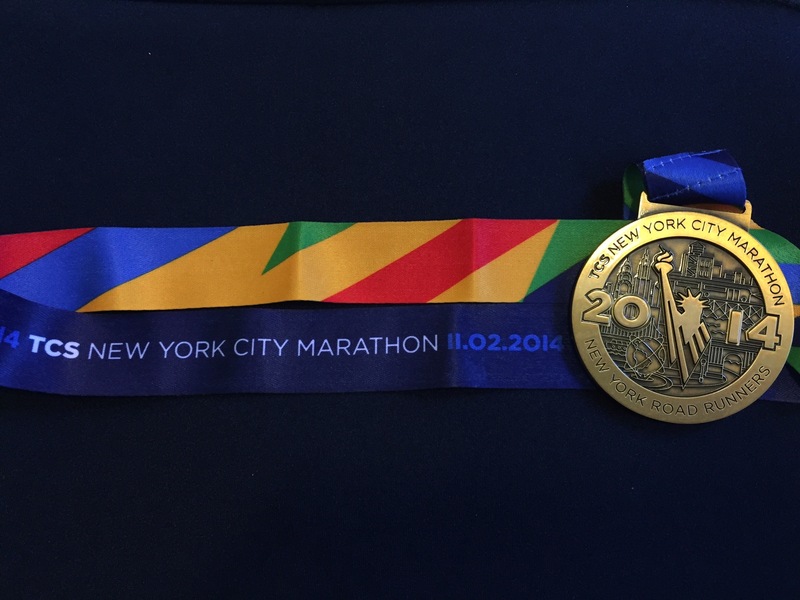 Hard earned — the 2014 TCS NYC Marathon medal. 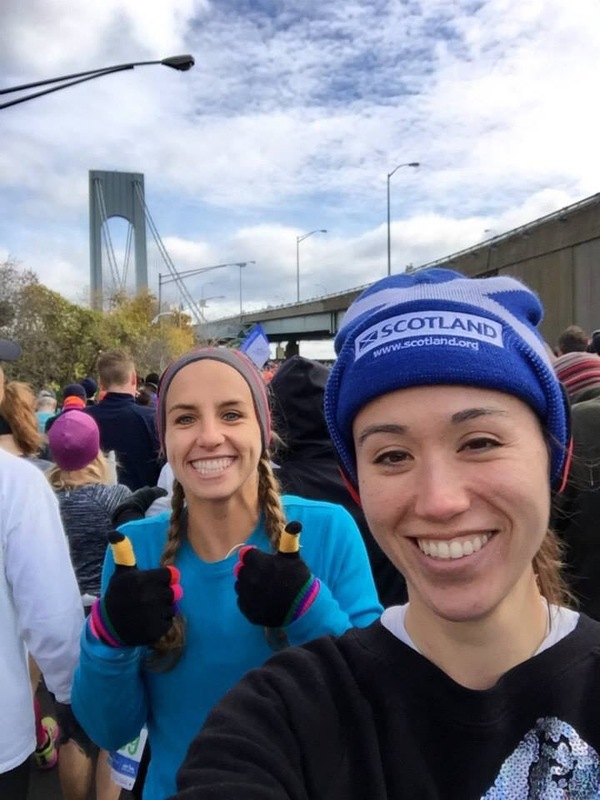 There’s absolutely nothing like the NYC Marathon — the crowds have the energy of the entire city, the course is beautiful, and you can feel your hard work paying off. 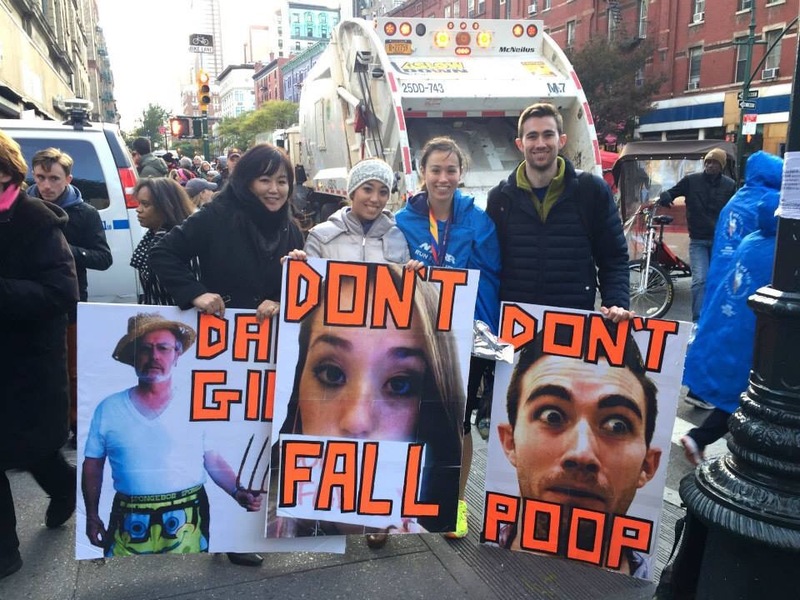 No doubt, the marathon certainly challenged me — the winds were out of control, I drank too much Gatorade and felt nauseous for parts of it, the “wall” at mile 19.5 hit me hard in the Bronx just as the crowds thinned, but not once did I think I could not do this. Thank you everyone for all your love and support–this journey would not have been possible without you! 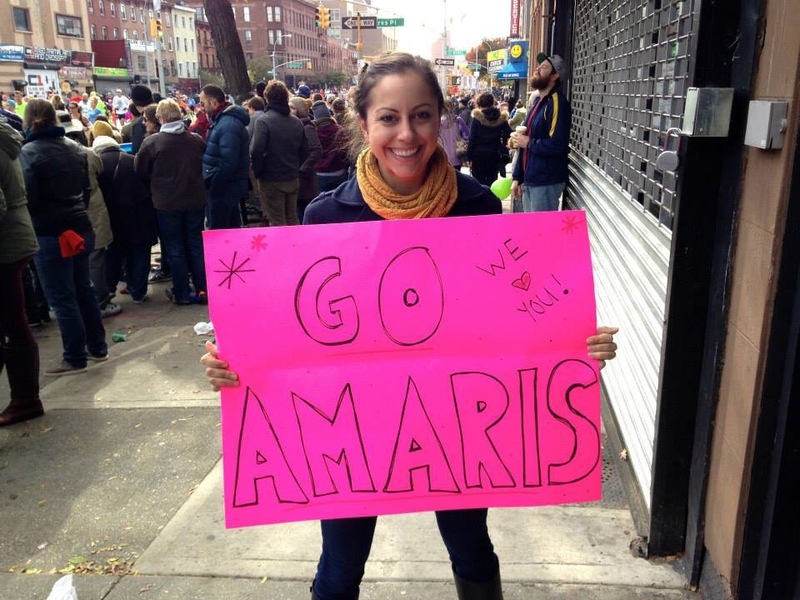 After two years of build up, it was hard to believe marathon Sunday had actually arrived. We took Friday off to go to the marathon expo so we wouldn’t be in a rush and mentally prepared for an amazing weekend. 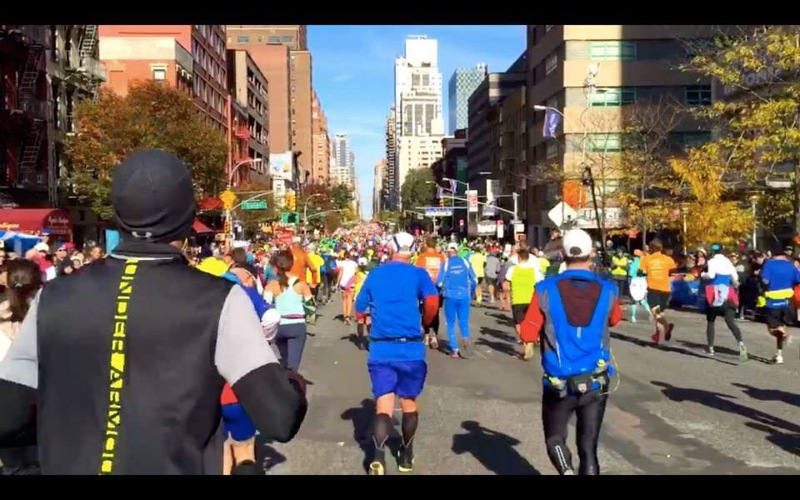 The crowds were amazing and the energy was incredible–we were surrounded by people of all shapes, sizes, colors and ages, and all of us were here to run. 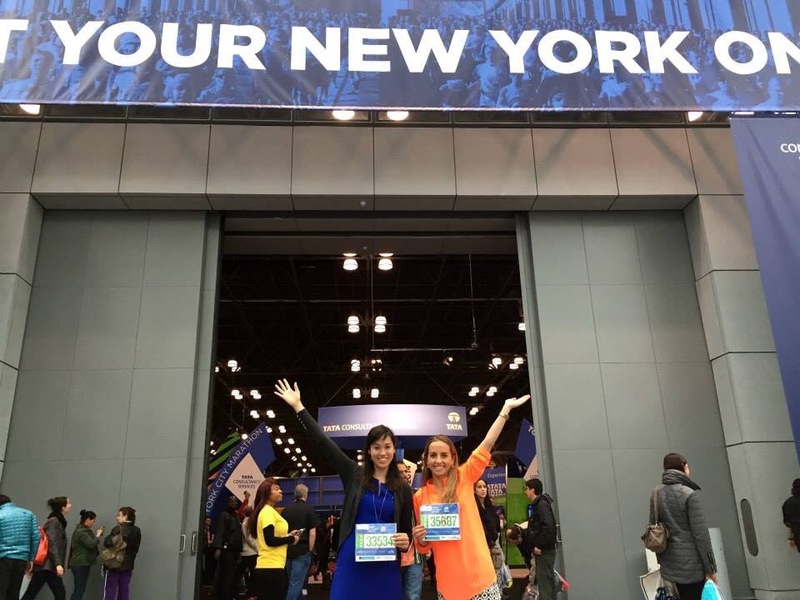 Get Your New York On at the NYC Marathon Expo. Race to the finish of the marathon! 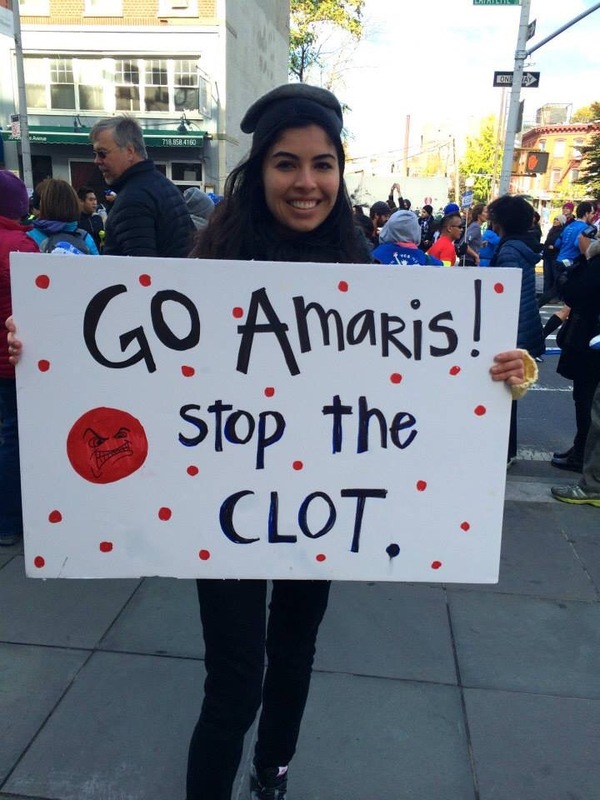 A huge part of this race was raising money to help support STOP THE CLOT for the National Blood Clot Alliance — I am so lucky to have so much support from so many friends. I carried their names with me every step of my 26.2 mile journey. 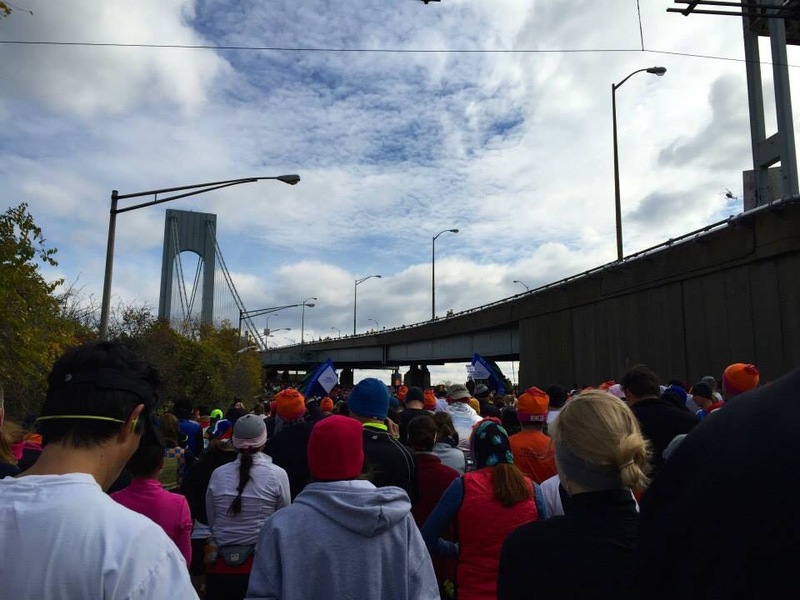 Getting to the start of the race was an adventure in and of itself — we woke up early to catch the ferry to Staten Island, where rows of buses waited for arrival. Once there, we were shuttled to the start of the race. 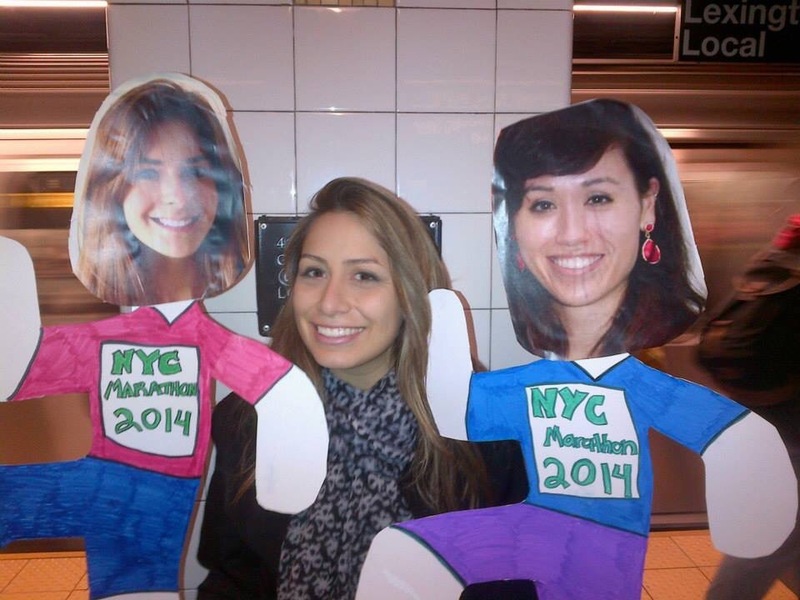 NYRR had set up a home base for the runners with food, toilets and lots of cheer. After that it was a waiting game, but luckily we didn’t have to wait more than 30 minutes in the cold. Bundled up on the Staten Island Ferry. BANG! The gun went off for each wave of the race, and when we finally started it felt surreal. With New York, New York at top volume, I could not have imagined a better start. Ready to go in our corral. 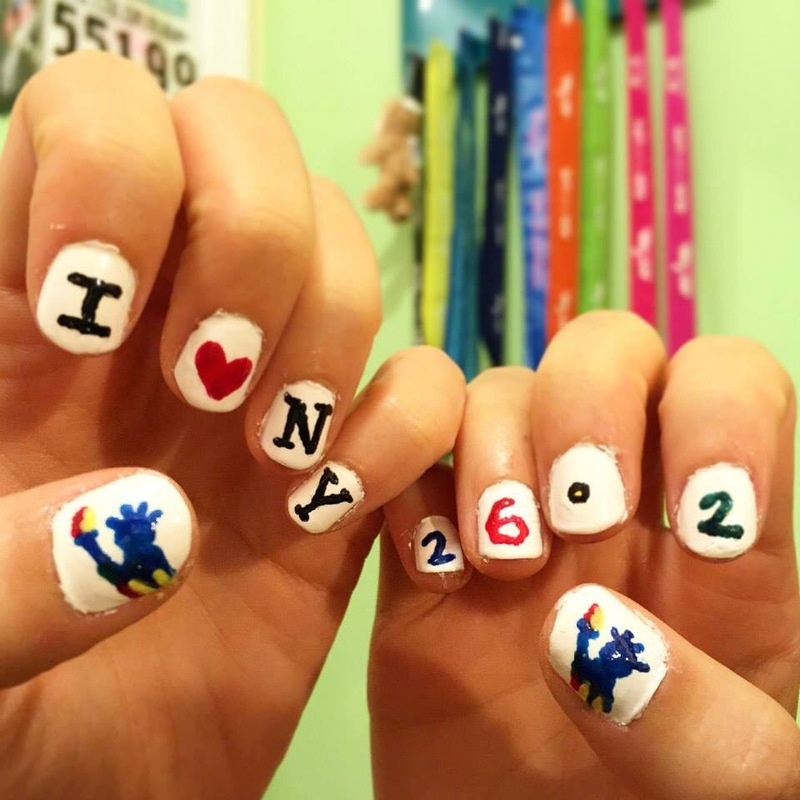 New York, New York, and ready to run! The Verrazano Bridge. Wow. 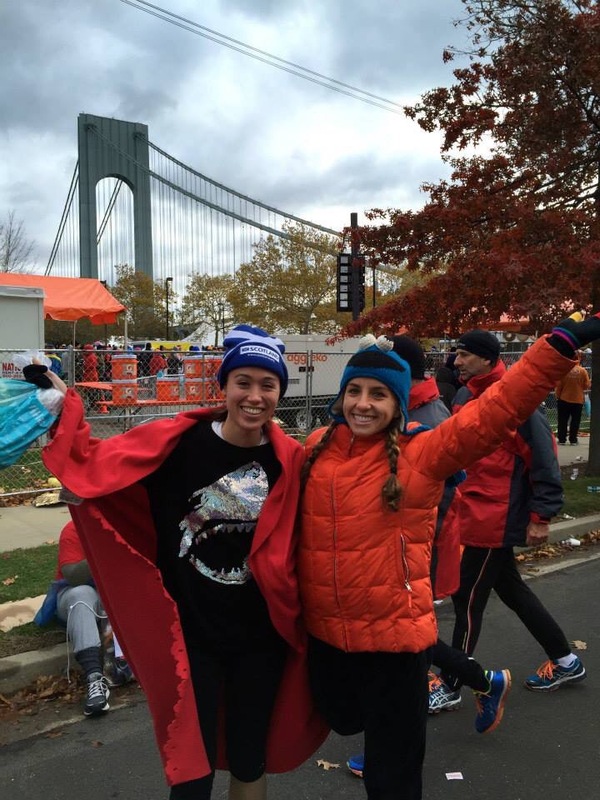 The weather was unfortunately one of the windiest in marathon history. So windy that the wheelchair competition had to start after the bridge, and even the elite runners were significantly slower than in previous races. We started the race at a slower pace, but the winds were so strong that we kept running into each other and other runners. It was an almost comical bonding experience as all our fellow marathoners struggled to just keep moving in a straight line. So happy to see everyone in Brooklyn. Meanwhile…my friends and family were rallying in Brooklyn. The crowds were probably my favorite part of the entire experience, and the cheering fans and signs give you the energy and motivation to keep going. When I finally made it to Brooklyn, I could not have been happier. I was feeling strong and having so much fun running through the city. Seeing my friends and family was perfect. 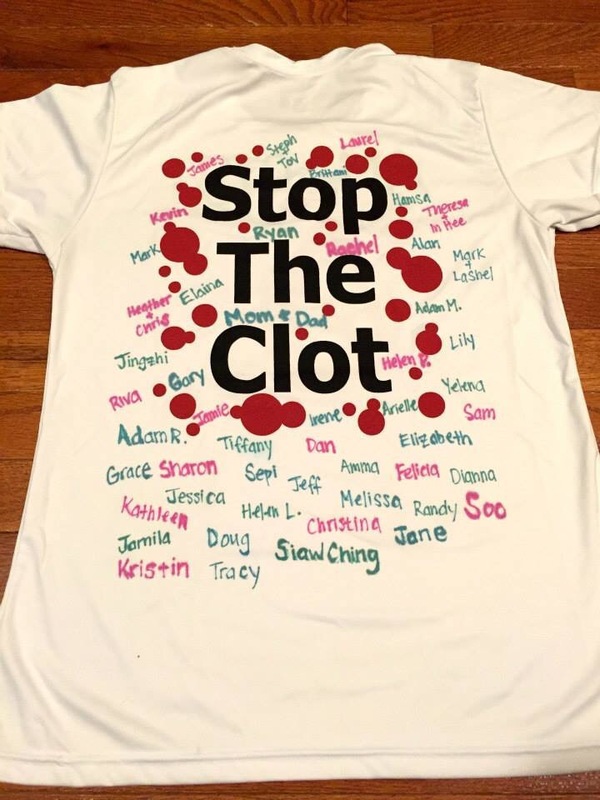 Even more Stop the Clot love. 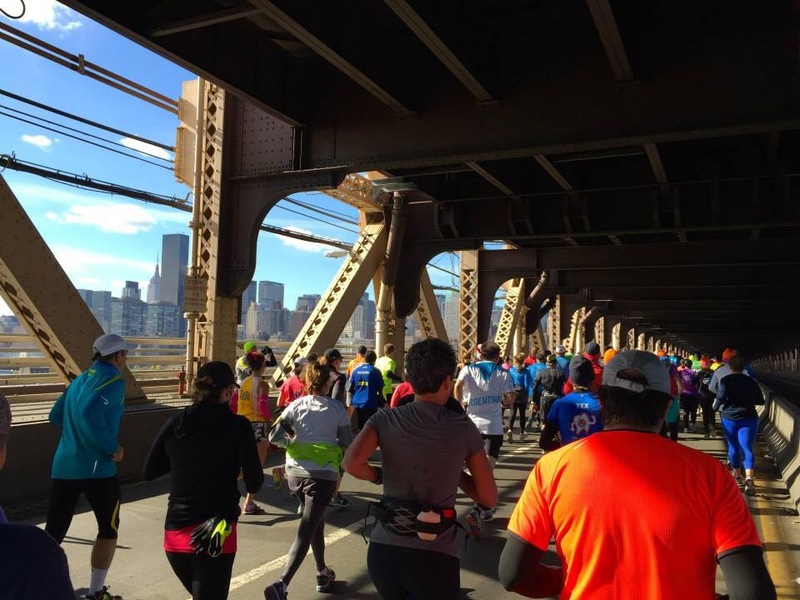 The race took us through more of Brooklyn and then a tiny portion of Queens before we ran over the bridge into Manhattan. After all of the crowds, it was a strangely peaceful stretch, with nothing more than the steady sound of running feet to keep you going. Going up First Avenue with the crowds screaming. Don’t Fall. Daft Girl. 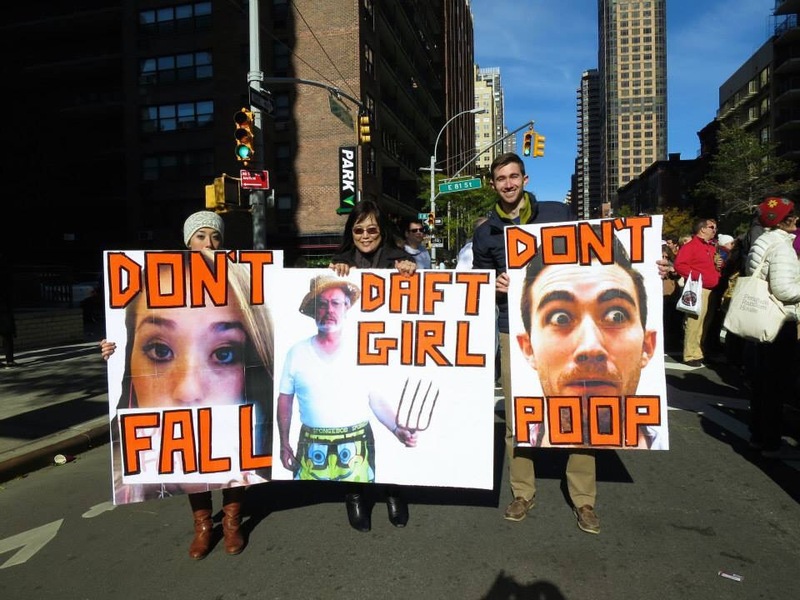 Don’t Poop. 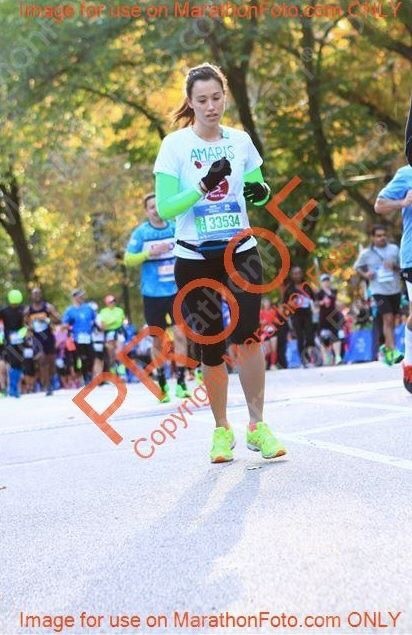 I was about 19.5 miles through the race when I finally hit The Wall. This is the point in the race where the crowds have thinned, and you are making your way further and further from the finish line (leaving Manhattan to go to up to the Bronx). With more than 10K left, an hour plus of running felt like an eternity. I knew that I would finish, but I also wasn’t sure how much of a toll it would take to get me there. 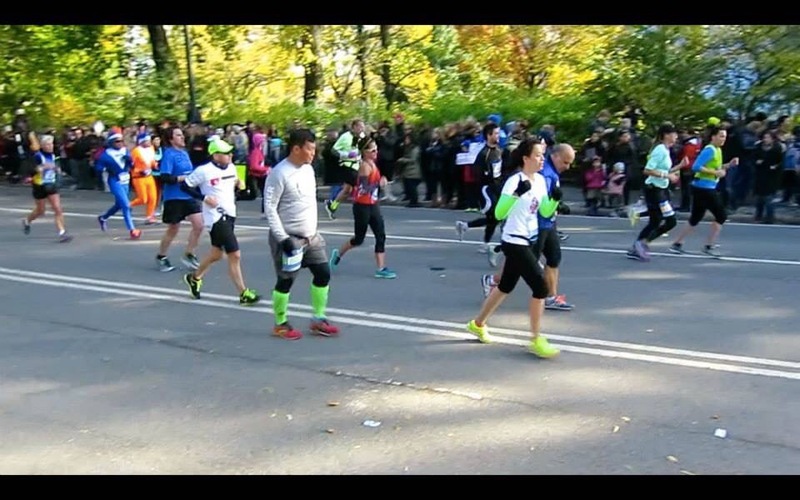 When I finally made it to Central Park, I knew I was in the final stretch and just had to keep pushing. The final stretch in Central Park. The last few miles were a struggle and it was hard to give my family more than a thumb’s up when I ran by. 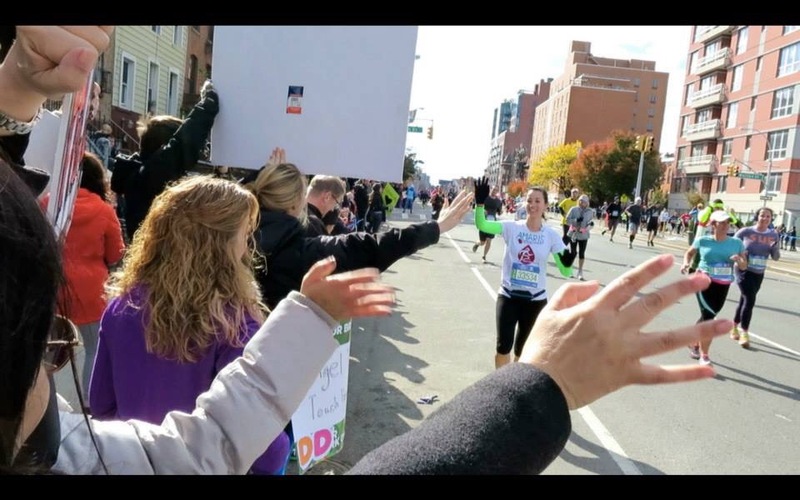 When I finally crossed the finished line I was filled with both enormous pride and enormous pain. I somehow hadn’t realized how cold it was until I crossed the finish line! The rest of the week was filled with celebrations, food and recovery! Freezing cold, but celebrating inside. 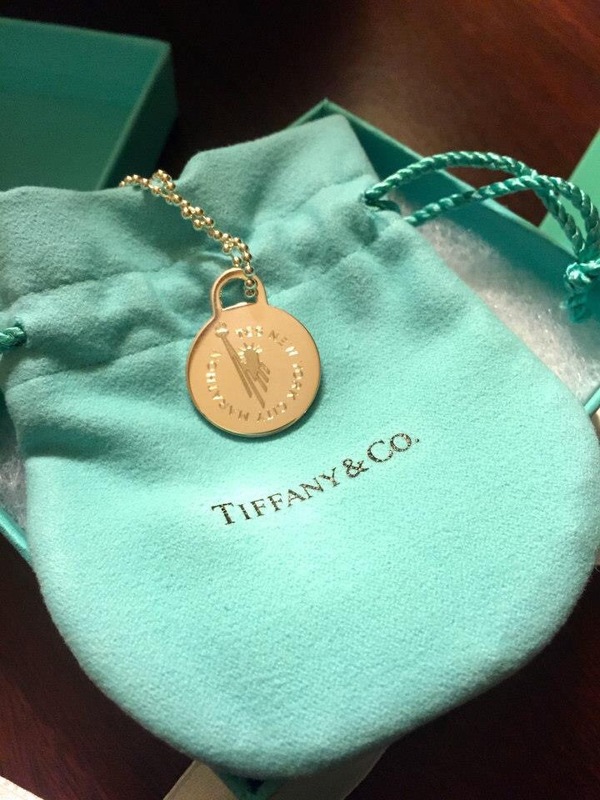 Tiffany’s special edition 2014 TCS NYC Marathon necklace. We also made it onto both Buzzfeed and the NYTimes! 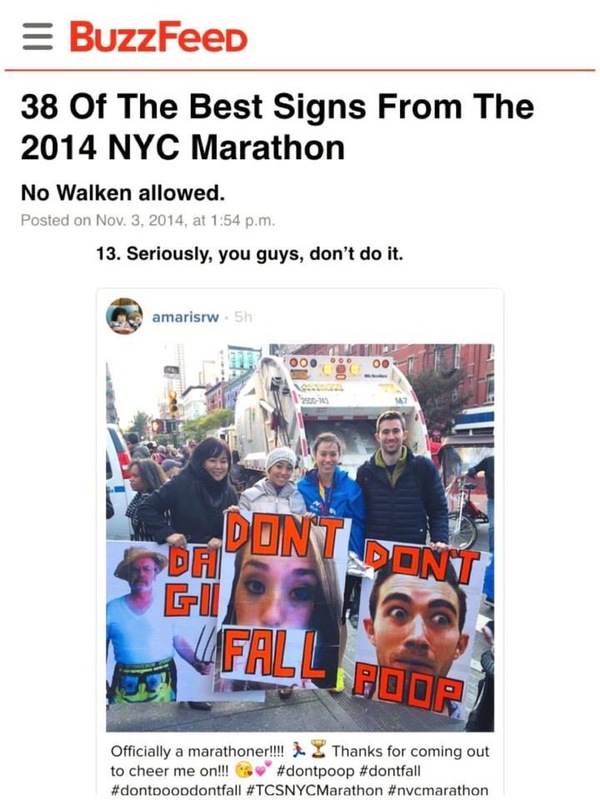 Buzzfeed approved: Hands down, the best 2014 NYC Marathon cheersquad. 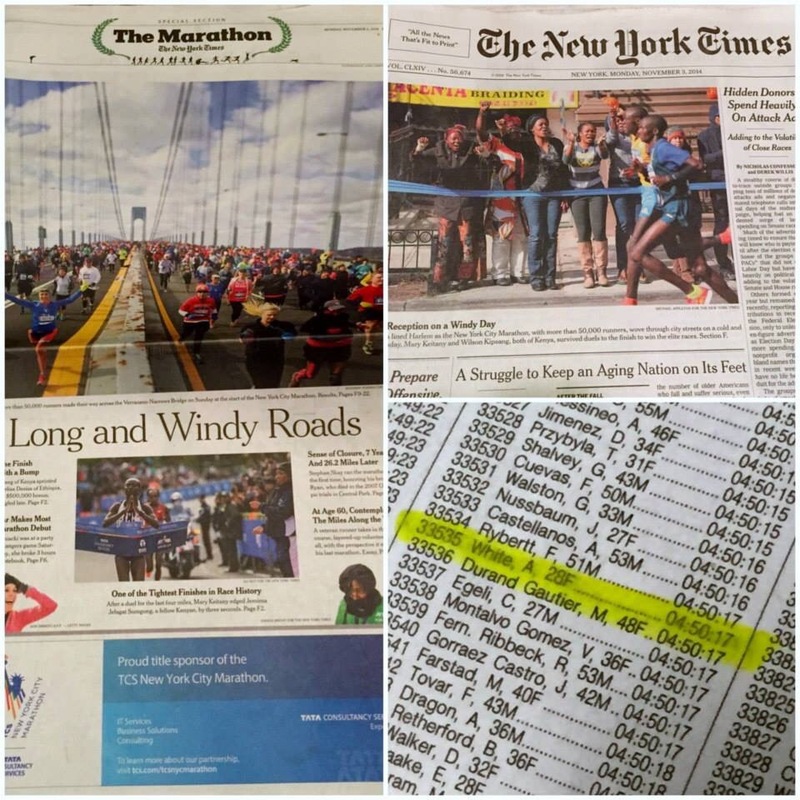 New York Times 2014 finisher at 4:50:17.